​When you're searching for your new rescue doggy there's soooo much to take in. ​Maybe you'd like to join in on the little SSR community. SSR has limited social media presence, and encourage everyone who loves dogs and rescue stories to subscribe to our e-news. You'll also find us on Facebook as SSRdogs.org.au Instagram @ssrdogs but all the inside scoop is sent out in the newsletter. We help with tips, tricks and advice on health care. We feature new dogs in care and you can follow their progress from rescue day to adoption day which is always a good read. And we keep you informed of our retired dogs, who remain in our Forever Care program. Sometimes there's even a shout-out for transport assistance or overnight care which is a great way to volunteer if you might like to help when you can. And sometimes you may need the tissues close by. We'd love to welcome you to SSR. 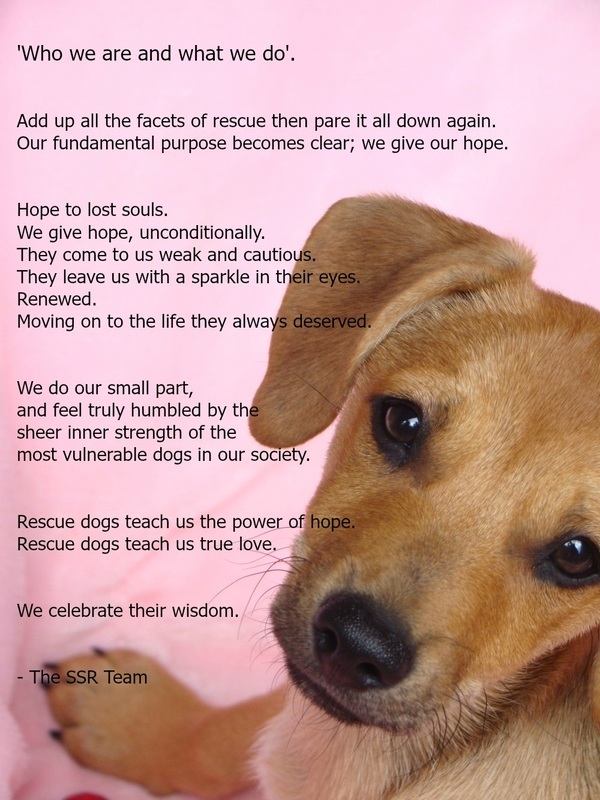 SSR is a small rescue group based in Sydney NSW, with over 15 years of 'on the ground' experience behind us. We operate in a unique, family style with all carers, admin and volunteers working together to support each other. Our carefully crafted approach to rescue assures the best possible outcome for everyone involved in the rescue and adoption journey. All our animals are a lifetime commitment, SSR is always here to assist and we provide a lifetime return safety net as well as advice and help. ​We are Incorporated as a Charity, Registered with the ATO and the ACNC, Gift Deductible, Charitable Fundraising Approved and Holder of NSW Dept of Local Govt Clause 16D. SSR has been awarded twice in the Dog Owner's Choice Awards. The following is a preface from the SSR Code of Conduct. Our Code was created as a reference point for all members and is at the heart of how we work. SSR Commitment to the Health and Welfare of Every Animal Rescued. Members agree to a strict set of guidelines regarding the general wellbeing and potential special requirements of an animal exiting the pound environment. Members agree to provide highest quality care and respectful treatment of every animal in care. And to undertake any necessary rehabilitation prior to rehoming. Members agree to balance the fundamental SSR purpose of rescue-rehabilitate-rehome and goal of minimal euthanasia , with the community need for confidence and trust in rescue animals. All dogs prior to being rehomed are desexed, vaccinated (C5), heartworm tested and on heartworm preventative medication, flea/tick preventative, and any other known veterinary conditions addressed (dental, mammary tumour removal, or any number of health conditions), adequate paperwork, full disclosure to adopters of known issues and a non-negotiable assessment procedure. 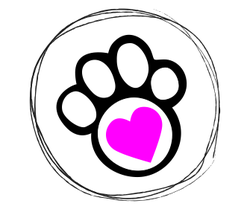 Dogs brought into SSR care are assessed individually by their carer and evaluated as to what home environment is best suited to meet their needs, this is to increase our rehomed dogs happiness, as well as the potential adopters being matched with a dog that will suit their lifestyle and daily routine. Members regard ethical practice and all aspects of the Code Of Conduct to be of the highest importance. At all times Members shall advocate for the welfare of SSR animals past and present. And conduct business in a professional and courteous manner.